A professional double brush designed apply and blend diego’s eyebrow cream liners. its small size and its special flat “angled” shape makes it perfect to obtain any kind of eyebrow shape, from natural to sharp. 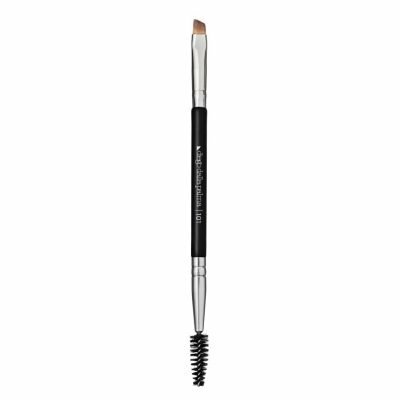 the bottom round brush is designed to comb the eyebrows and to set their shape before the application of any eyebrow products.